The stacker neatly stacks the egg trays and counts them. 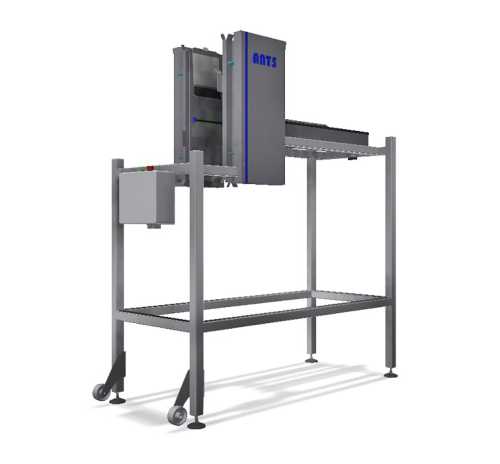 There are many possibilities in trays, stack height and width and different ways of stacking. 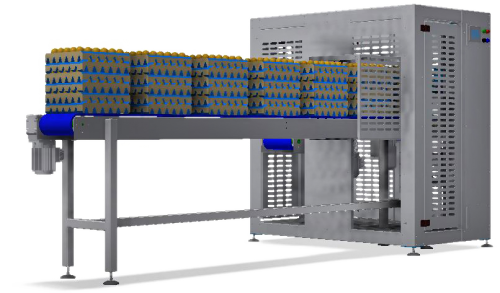 We have several options with a capacity of up to 36,000 eggs per hour. What fits your needs can be determined in a conversation without any commitment. After all, every machine is tailor-made.